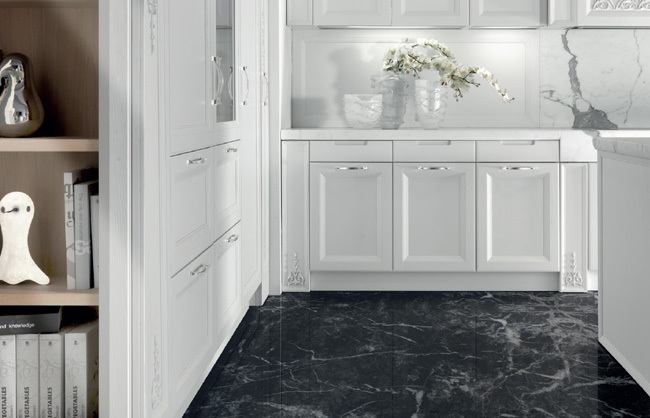 A luxurious and exclusive collection for quality and decoration, the Princess collection is characterized by a clean and elegant design. 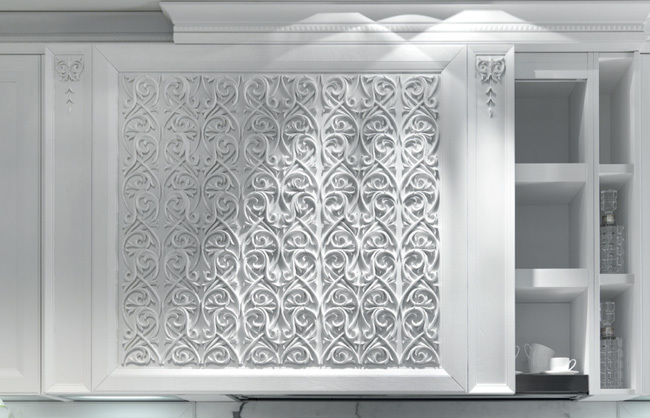 The stylish stuccoes of baroque palaces have inspired us to design the uniquely carved wooden friezes that enrich the cooker hood with a spectacular burst of decoration. 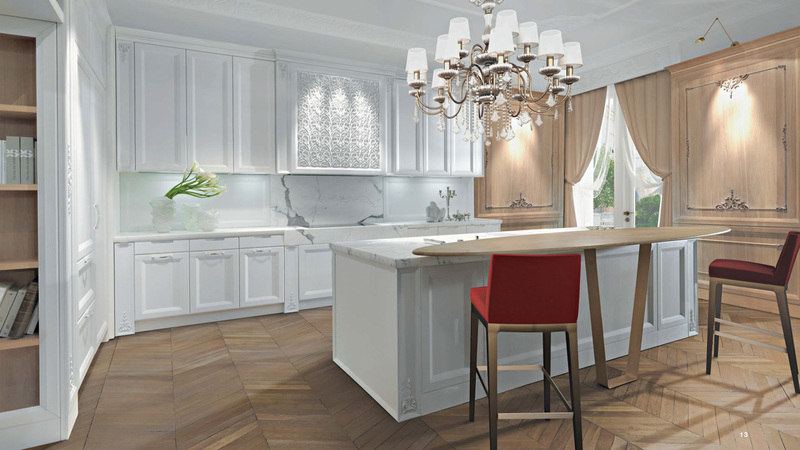 The classical style is transformed according to the canons of refined contemporary taste. The Princess collection looks like an immaculate white wedding dress, decorated with embroidery made specifically for the special day. The Princess decorations are exclusive designs carved in wood. The attractiveness of Princess is its versatility. 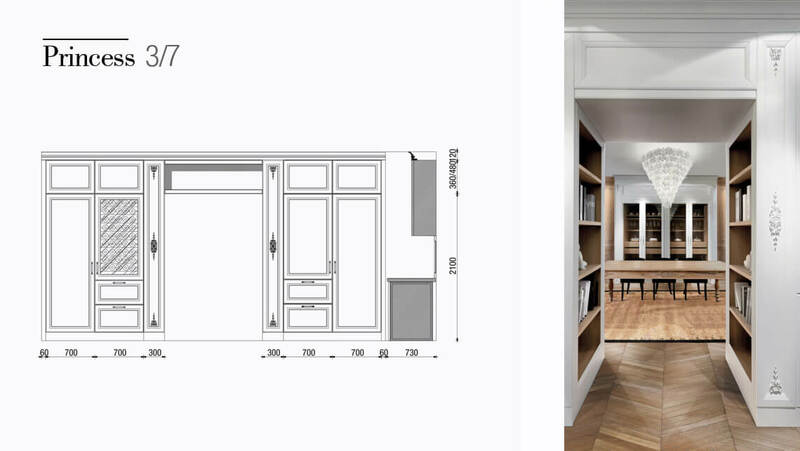 Beyond the kitchen, the panelling enhances the environment, creating passages, bookcases, and cupboards. 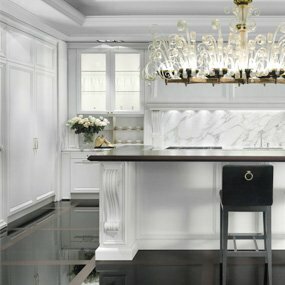 In this kitchen we have expressed the desire to maintain a balance of opaque tones, where even the white surface of the statuary marble has a warm, silken feel. Here, the wall panelling becomes the key element. 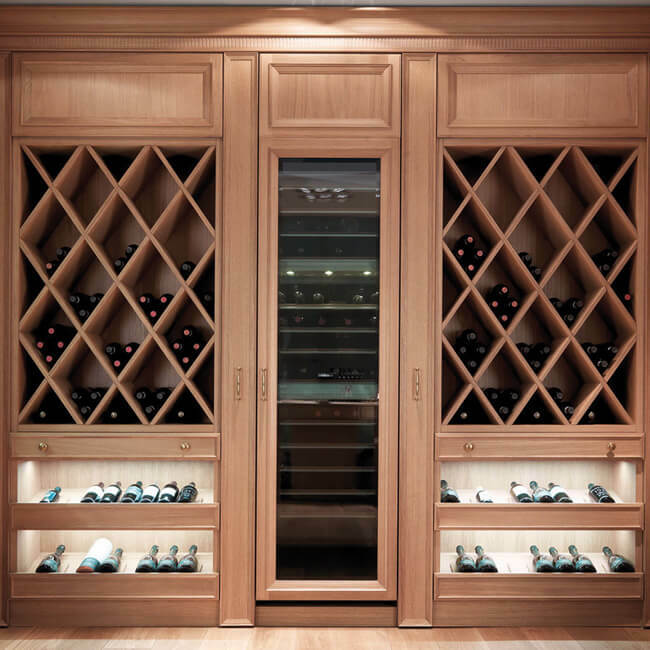 The open-pore lacquer reveals the grain of the oak, enhancing its essence. The oak is treated with oil in order to reveal its natural splendor. 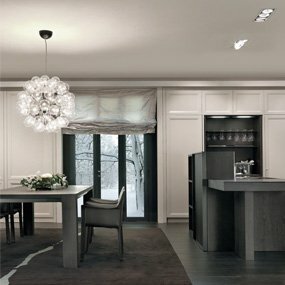 Each project is made unique thanks to the decorations and exclusive design carved in wood. 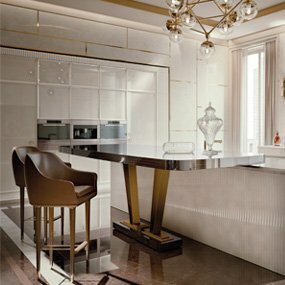 Like elegant embroidery, they embellish sides, hood, panelling, and other elements of the kitchen. 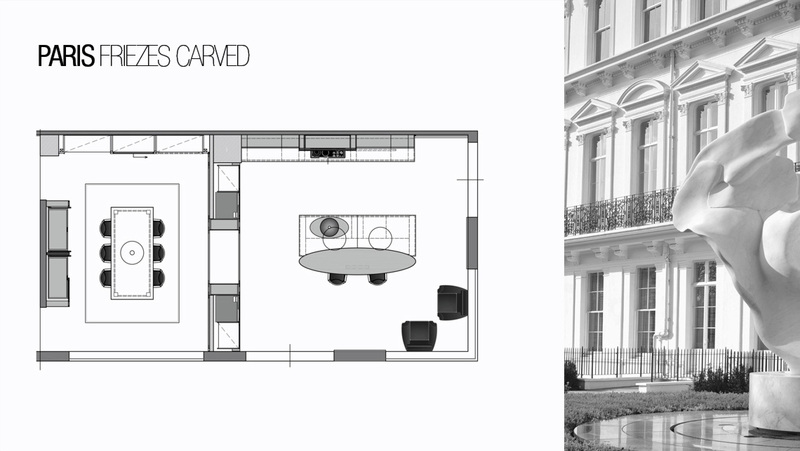 The continuity of the layout is achieved with the panelling, the connecting link between the kitchen and the living area. The furniture for the living room completes the elegant coordination. It can be equipped with cup-rack shelving, sliding shelves, drawers and sliding doors, and bookcases with sliding doors to hide the television when needed. The amazing design is striking in its perfection. 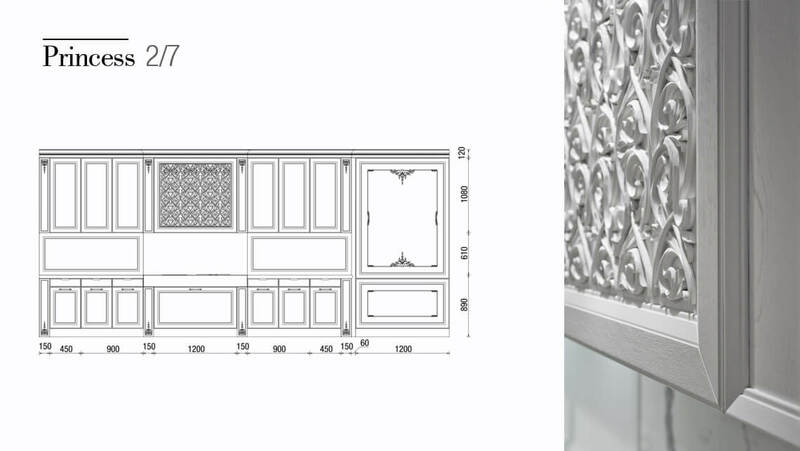 Attention is paid to every detail: the façades, furniture fittings, and decoration. 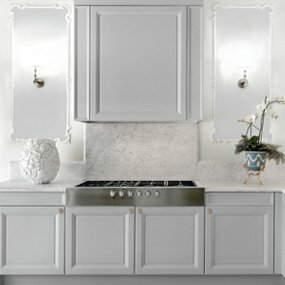 The harmonious combination of shapes and decorative elements add charm and elegance to the Princess collection. The classic decorations enhance the contemporary and elegant style of Princess. The search for beauty and harmony has produced a purely unique collection. 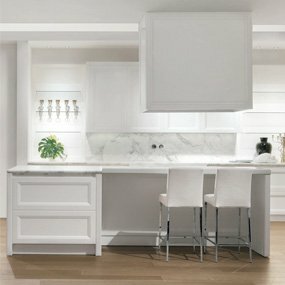 The sculpted wooden decorations in our exclusive designs make every project unique and valuable. The remarkable beauty of the decorated cooker hood is a highlight of this kitchen. 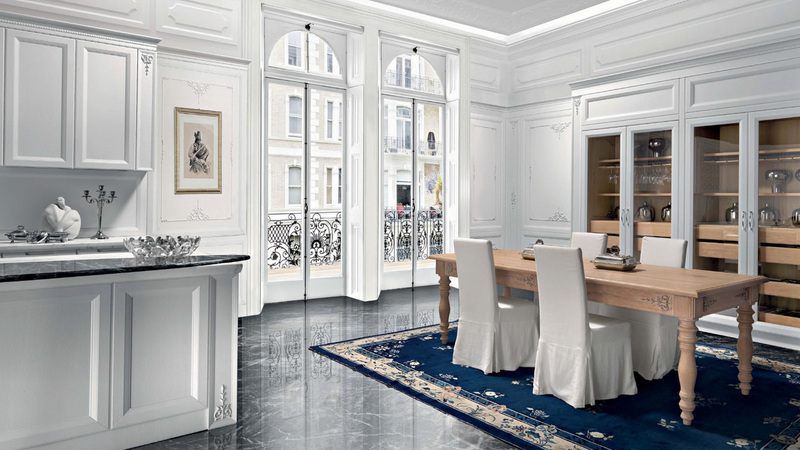 Columns have retractable doors that hide the appliances. 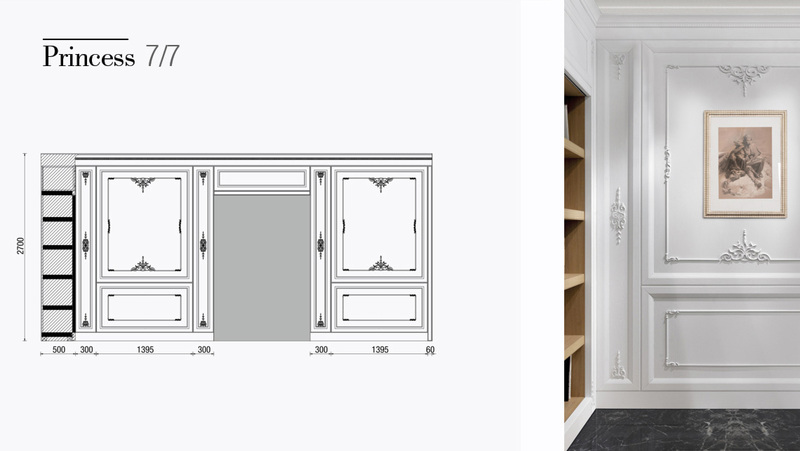 The entrance from the kitchen to the living area has panelling with carved decors and wooden compartments that can serve as a bookcase. 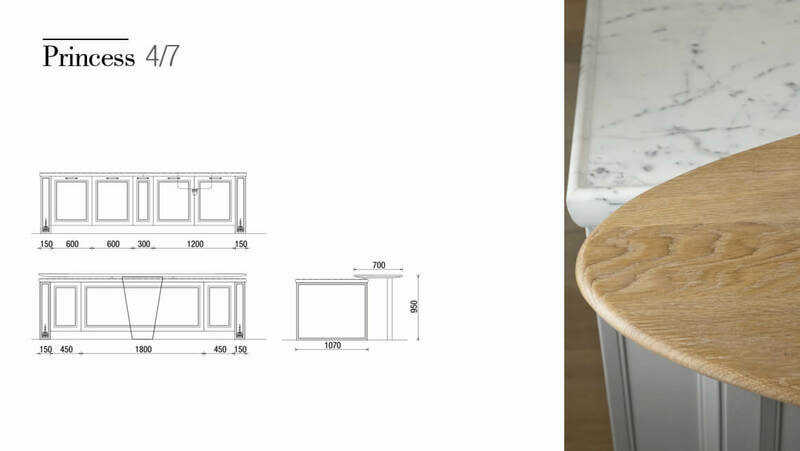 The kitchen island with marble countertop has a special drip edge and a carved oval shape that mimics the exclusive oval shelf in solid wood with a contoured edge. 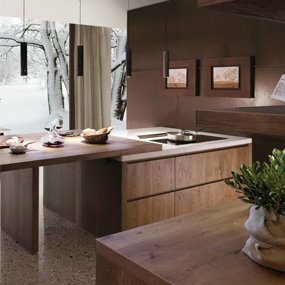 The wall panelling in oak is treated with oil to bring out the grain in the wood. The side of the living room has panelling and bookcases in oak divided by a sliding door panel that hides the television. The other living-room wall has retractable glass doors. 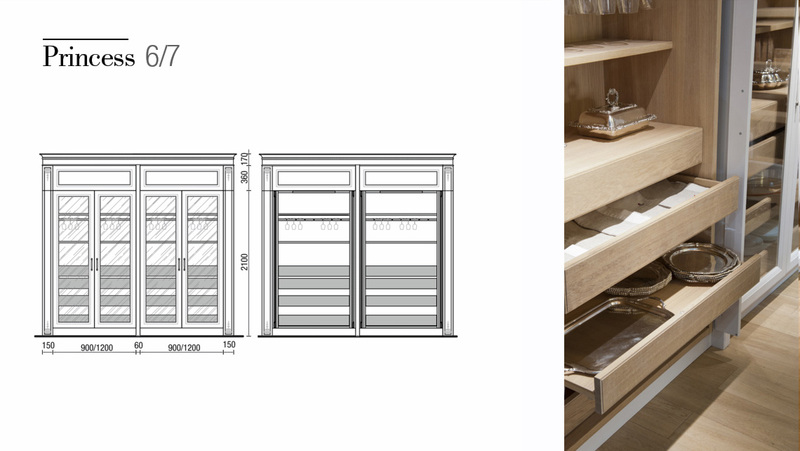 The wooden interior is equipped with cup-rack shelving and drawers. 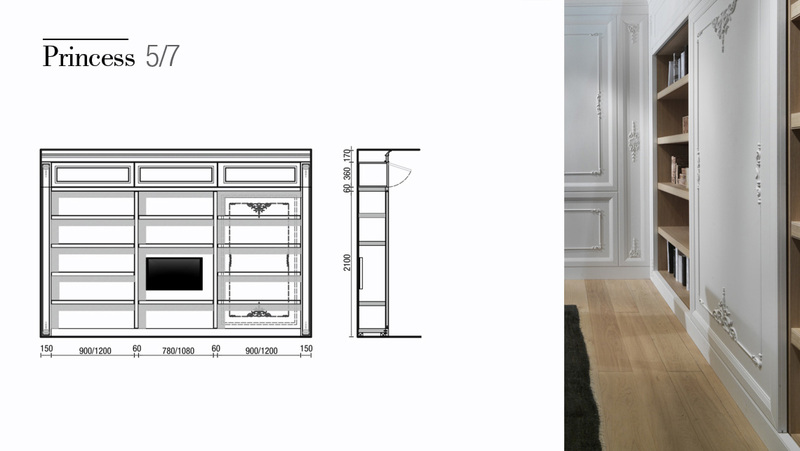 The customized panelling can be designed to free creativity and uniquely furnish every single environment. When style meets quality, magical things happens. 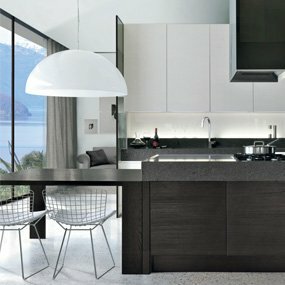 Experience it every day with one of our kitchens.